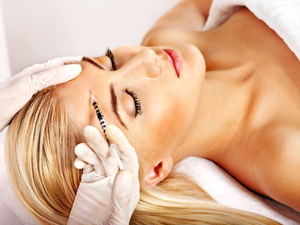 What is Platelet Rich Plasma (PRP) Facial Rejuvenation Therapy? First, your skin is assessed and prepared for treatment. Then, anesthetic cream is placed on the face about 45 minutes to an hour before the procedure. Next, blood plasma that has gone through the PRP process is applied topically on the skin or injected in target areas. The actual procedure takes about 20 minutes to a half hour. Improvement of skin fullness, texture, and tone can be noticeable within a few weeks of treatment. PRP for facial rejuvenation is recommended in 3 to 6 treatments, spaced out at least a month apart. The treatment is suitable for individuals hoping for gradual but noticeable improvement in their skins fullness, texture, and tone. PRP for facial rejuvenation is an ideal treatment for patients seeking little to no downtime after treatment. Platelet Rich Plasma (PRP) Therapy for Hair Restoration - What is Platelet Rich Plasma (PRP) Therapy? After PRP is made, it is injected into the scalp where the hair is thinning, so it can trigger the body's natural healing instincts.